John Seivert: Is bending over repeatedly bad for your back? 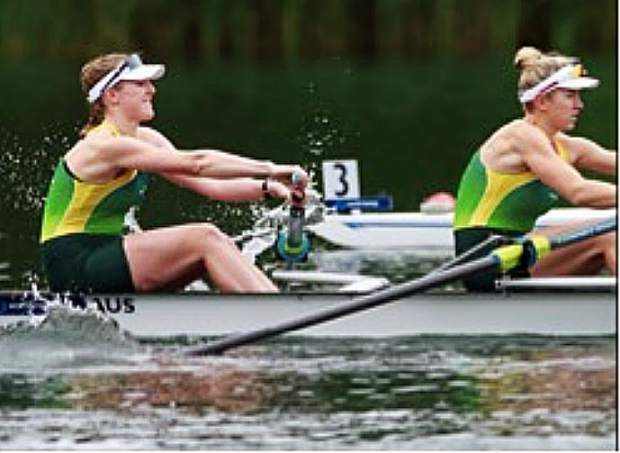 Competitive rowers spend several hours six days a week training in the water and in the weight room. A majority of their training is a mix of aerobic fitness and sport specific training of rowing which is repetitive flexion with an extension load on the spine. Would you believe it if I told you that bending over repeatedly to lift objects or to play sports that require repeated flexion of the spine is not harmful to your back? It is well documented in the peer-reviewed literature that repeated flexion of the spine is not necessarily a cause of low back pain. There has been mounting evidence in the literature that many of the old assumptions about repetitive exercise such as bending and lifting is bad for your back, running is hard on the knees, gymnastics will cause back pain, and swimming is bad for your shoulders are more myth than fact. The list goes on and you can pick almost any sport and come up with the harms it will cause you 10 or 20 years down the road. A 2012 study titled, “The prevalence of low back pain among former elite cross-country skiers, rowers, orienteerers and non-athletes: A 10-year cohort study” compared the prevalence of symptoms of low back pain among former endurance athletes with different loading characteristics on the low back. The groups they compared were: cross-country skiers (a more flexion load for the spine), rowers (a more extension loading), and orienteering athletes (no specific loading of the spine), as well as a non-athletic control group. The authors concluded that low back pain was not more common among former endurance athletes with specific back loading compared with non-athletes. The results indicate that years of prolonged and repetitive flexion or extension loading in endurance sports does not lead to more low back pain. However, a large physical training volume in the past year and previous episodes of low back pain are risk factors for low back pain. So then why are so many experts in the fields of medicine, the fitness industry, and health and wellness still teaching people that unless they lift with a straight back they are likely to injure themselves? The long answer is as follows: many of us physical therapists hear the “stories” of patients telling us how they hurt their backs while bending and lifting. We then warn them to be careful of bending and lifting as it might hurt your back. This may sound like logical advice in the short term while tissues heal, but what ends up happening is that the patient takes the advice to avoid bending and lifting too far. This may lead to increased fear and disability around doing very normal every day activities. A better course of treatment after the symptoms are reduced or gone is to then train the patient how to bend and twist with confidence and how to improve muscle strength, flexibility and joint mobility to perform the tasks that the person wants to do for fitness, fun or work. You should be very wary of professionals that make blanket statement about exercise and fitness as it relates to preventing injuries or movement. The words “never” and “always” are two that I try to avoid using. This advice can be useful if someone is picking up something very heavy to allow their legs to assist with the lift. However, lifting something like a small tree branch or a tissue would not require the person to lift with their legs and it almost becomes impractical and inefficient to do so. So then why are so many people that live in third-world countries that spend countless hours a day farming, working in the rice patties or carrying heavy jugs of water miles to their home not complaining of back pain or not seeking out medical help for low back pain? They don’t hurt their backs because their bodies are accustomed to the duties needed to do their chores. Your body will adapt to the demands we put on it and we will build stronger bones, muscles and ligaments by using them regularly. I just spent five full days cleaning out my parents home that was filled to the gills with stuff, heavy stuff like 200 pound safes, couches, tables, and heavy armoires that were dragged, lifted and put into trucks and cars. I haven’t worked this hard and continuously for this many days in a row for years. Did I have some back pain each night at the end of this ordeal? You bet I did because it was work I am not accustomed to doing. However, a few anti-inflammatory, a series of stretches and keeping up with my regular exercise routine helped me feel better within a day. Healthcare providers need to treat their patients as individuals with unique problems and not make blanket statements that may not apply to everyone. I have been guilty of perpetuating some of these myths. However, we all need to stay informed and update ourselves with the most current evidence and make changes accordingly. That is the key to helping people get better from their injuries and most importantly, empower people to move freely without pain or fear of re-injury. Our spines are very robust structures and can withstand incredible pounds of force and pressure placed upon them. It’s okay and normal to be sore after doing something you’re not used to doing, but try to keep moving and remember, movement is medicine.